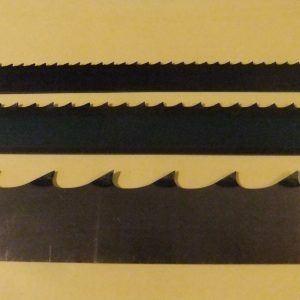 Band saw blades to fit many hobby/workshop machines including DeWalt, Burgess, Black & Decker & Coronet Imp. 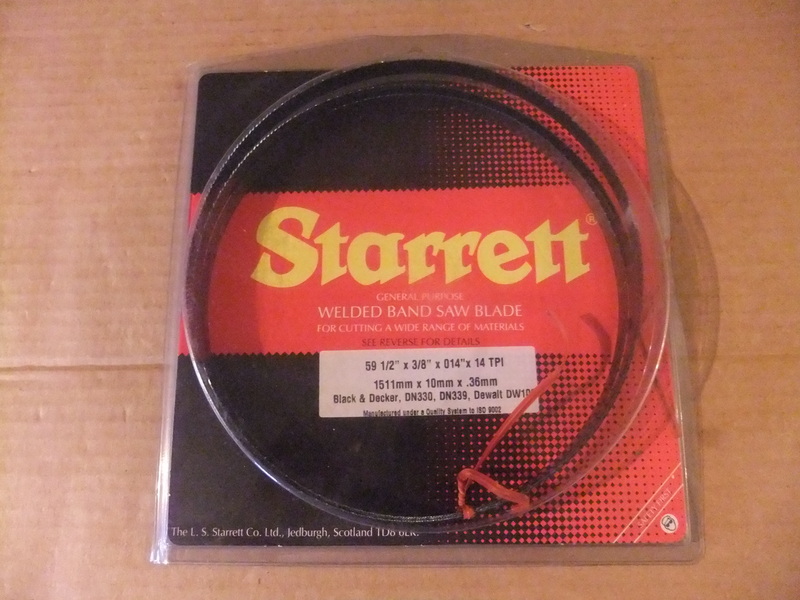 Industrial quality ‘Starrett’ Woodpecker Premium band saw blades are ideal for cutting wood, plastic & acrylics. The ground teeth assure precision cutting, better finish and less kerf loss. Please check the correct length of blade required before ordering. 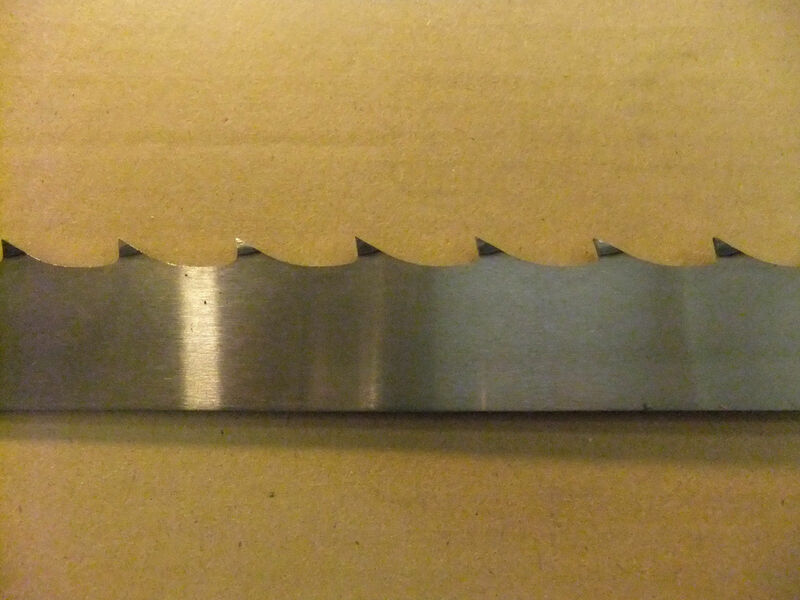 Woodpecker Premium band saw blades are designed for all types of wood cutting including contours and feature a spring tempered high carbon steel blade with induction re-hardened teeth, providing decreased production times and a better surface finish. High carbon steel body hardened and tempered to 45 Rockwell C Hardness withstands greater cutting pressures and optimises fatigue strength. Faster and more precise cuts. Ground teeth assure precision cutting, better finish and less kerf loss. Hardened teeth to 62HRC ensure longer life. Teeth can be re-ground or re-shaped and re-set. Hobby ‘thin gauge’ Starrett Duratec SFB & Dakin Flathers 37c (Carbon Flex) band saw blades. Flexback is a high performance hard tooth, flexible back carbon steel band saw for cutting most materials including wood, plastic and non-ferrous metals. 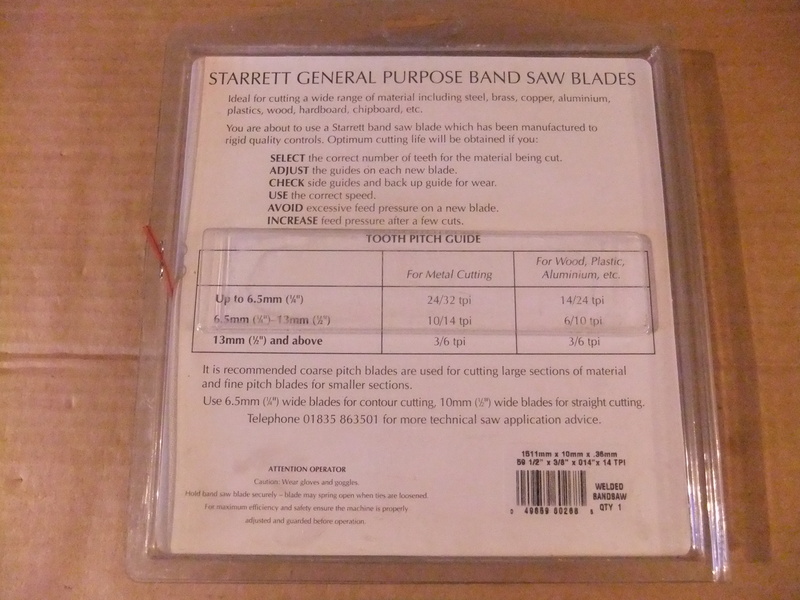 126″ (3200mm) Starrett Woodpecker Premium Band saw blade (Wood cutting) for Startrite machines. With over 20 years experience, North East Grinding Ltd offers a full range of bandsaw, jigsaw & circular saw blades, along with a comprehensive sharpening service for all types of saws, cutters and DIY tools. Based in North Tyneside, we serve customers locally and nationwide. North East Grinding Ltd. Company number 10395205. Registered office address: Unit 1, The Old Maltings, Tanners Bank, North Shields, Tyne & Wear, NE30 1JH.